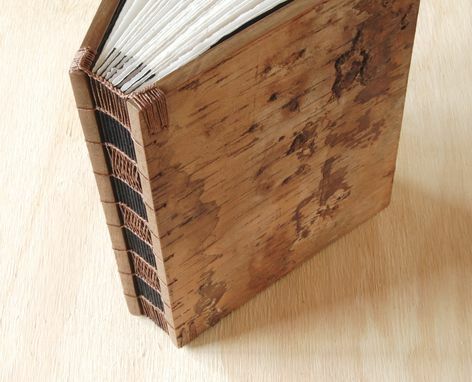 Working with Three Trees Bindery was an incredible experience from the start. She accommodated me with a rush order and answered all of my initial question very promptly. The photo album is beautiful and was more than I expected. The quality of work from the album itself to the wrapping of the album is amazing. Thank you for a great experience and an amazing unique gift. 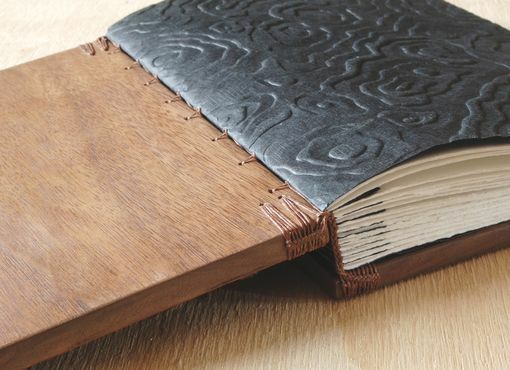 The covers of this sturdy wood guest book have been distressed in layers of black. 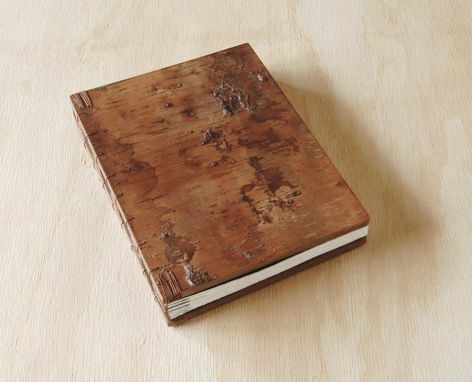 The front cover is decorated with a layer of tree bark. 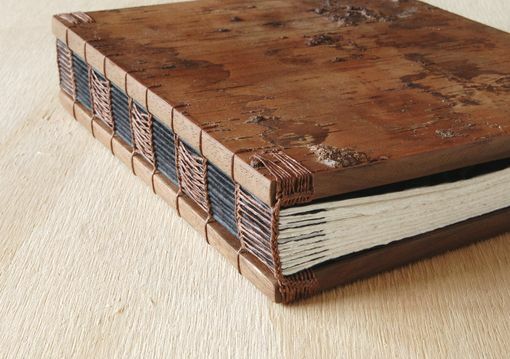 It measures approximately 7 inches wide by 9 inches tall and is 2 inches thick. It has 160 hand torn pages (counting front & back) of medium weight acid free drawing paper perfect for writing or sketching or holding your memories. It would also make an interesting conversation piece displayed on a table or shelf. The book was purchased as a gift for my wife who absolutely loved it! Working with Michelle at Three Trees was a breeze, my questions were answered quickly (quicker then expected actually) and she took the time to explain the process and what could be done. She also made some helpful suggestions and made the entire process easy. 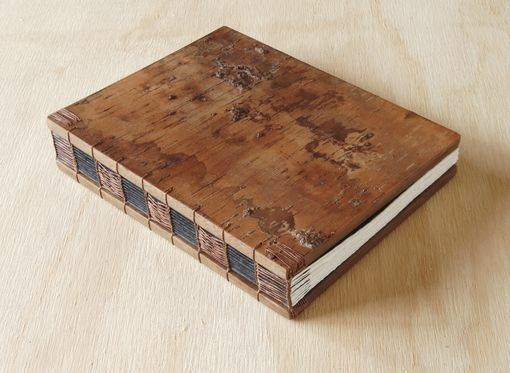 I wouldn't hesitate to deal with Three Trees Bindery again if/when the need should arise!